Crime • Cyprus High student struck and killed a bicyclist. 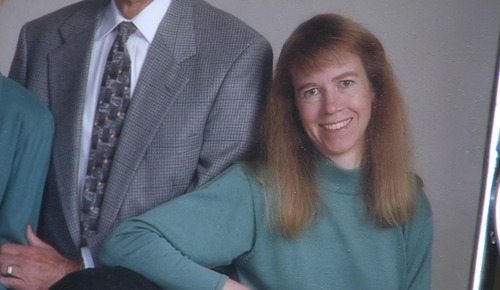 Karen Johnson was killed when she was hit by a truck driven by a 17-year-old girl while riding her bike in Magna. A Cyprus High School student who struck and killed a bicyclist with her truck in October of last year faces several misdemeanor charges, including improper lookout and careless driving. The Salt Lake County District Attorney's Office filed the charges against the 17-year-old girl Wednesday in 3rd District Court. She is accused of hitting and killing 48-year-old Karen Johnson on Oct. 19, 2010. The most serious charge, improper lookout, is a class B misdemeanor. The careless driving charge, as well as a charge of failing to operate a vehicle on the right side of the roadway and movement on the roadway, are class C misdemeanors. Around noon on Oct. 19, the girl and a male friend were driving south down the middle of Katherine Drive (8740 West), a residential street, near 3300 South, when the girl looked over her shoulder at some balloons that shifted in the car when a window was rolled down. The girl's Dodge Dakota drifted to the east side of the street where Johnson and another bicyclist were pedaling north, the charging documents state. At the last minute, the girl turned back around, saw the bicyclists and tried to turn the truck to avoid them. She missed a male bicyclist but struck Johnson. In addition to the balloons, police said the windshield and back window of the girl's truck were heavily decorated with opaque paint celebrating her 17th birthday when the accident occurred. Johnson died on the way to the hospital. Her family described the Salt Lake City native and electrical engineer as a world traveler, an avid bike rider who did 100-, 200- and 500-mile rides and even built her own bicycle. She was a graduate of the University of Utah and was active in the community.